Birding 2 Asia. Expert guided birding tours & free info on birdwatching in Asia. Birding2asia.com is the unique combination of two (2) assets that you'll see together rarely. We offer quality guided birding tours but at the same time provide the independent traveller with real value information. To form this perfect venture has only been possible thanks to the knowledge of the region by our dedicated team. We hope to see you soon and in the mean time enjoy the info or dream about your upcoming birding tour! Birdtours2Asia has exceptional value when it comes to specialist guided birding trips in Asia. We have a limited but exciting choice of tours that are meticulously planned to show you the best birds in a most enjoyable and friendly atmosphere. Our tours are guided by an experienced leader, a friend who will get you a wonderful and hassle-free holiday. Where2watch birds in Asia is a prime birding info resource for the Oriental region. Our aim being to provide birders with a different set of free info hardly ever found on the internet. We have covered some new and excellent birding sites which have never been written about, provide valuable info for travelling and birding some of the known sites and we have free bird sounds, trip reports, articles, and bird photography for you to enjoy on the website. Max. endemics - short tour. Dec'18 B2A goes httpSecure://Enjoy safe surfing. Sri Lanka; New page with plenty tour photos. Our Kingfisher on the front cover! GPS coordinates for birding; Info page. Canopy tower ; Small time ; big count!. 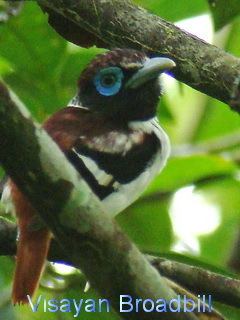 Copyright © Birding2asia.com . All rights reserved.